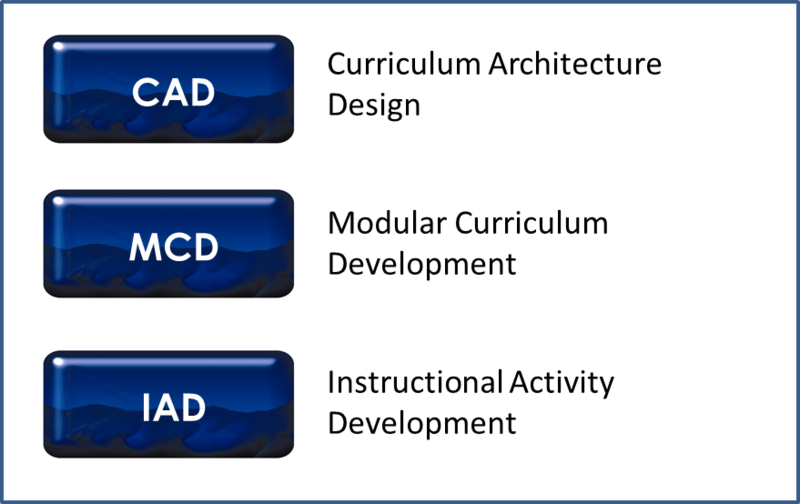 The PACT Processes are my ISD – Instructional Systems design processes, methods, tools and techniques – that I have been evolving since 1982 and include Curriculum Architecture design and my version of ADDIE: Modular Curriculum Development. Proj Mgmt – CNSPI -1986 – 9 page PDF – originally published in the Chicago Chapter of NSPI (ISPI) Newsletter in December 1986 – on my Project Management Techniques for Project Definition, Project Planning and Project Communications. Product Mgmt Process Training – ATT – 1987 – 1 page PDF from an internal AT&T Newsletter for trainers about the simulation exercise “game” I had designed in 1986 for an 8-day course for Product Managers that was pilot-tested in the fall of 1987. NS CAD 1986-7 – 2 page PDF – from the internal “AT&T Training Information Exchange” newsletter of October 1987 about the 8-day course for Product Managers pilot tested in 1987 – and the Product Management model we had created based on the analysis efforts – that in combination with a Product Life Cycle model we created (no common one existed at the time) guided the content of this 8-day “Basics” course. Cost of Nonconformance and ROI for Training Projects _ASTD – 1991 – 9 page PDF of the original (not the published version) article submitted and published in ASTD’s Technical & Skills Journal in their May-June 1991 issue under the title: Costing Out a Training Project (which it did not address). This presents an alternative approach for determining ROI that was unique to one of my client’s situation, and proxy for ROI: RONA – using the quality concepts of Cost of Non-Conformance and the Costs of Conformance in place of returns and Investments respectively. The Detailed Project Plan – GWW – 1992 – 4 page PDF – originally published in the Svenson & Wallace, Inc. newsletter: Management Update – in the Summer of 1992. PACT Pilot-Test Debriefing Guide – 3 page PDF – presents an overview of how I debrief Pilot-Test participants in ISD efforts. Written in the mid-1990s, published in 1999. PACT Alpha Phase Client-Stakeholder Interview Guide – 10 page PDF – is a job aid for the initial meetings with the client and other key stakeholders for a Training Request. Developed in the mid-1990, and published in 2002. 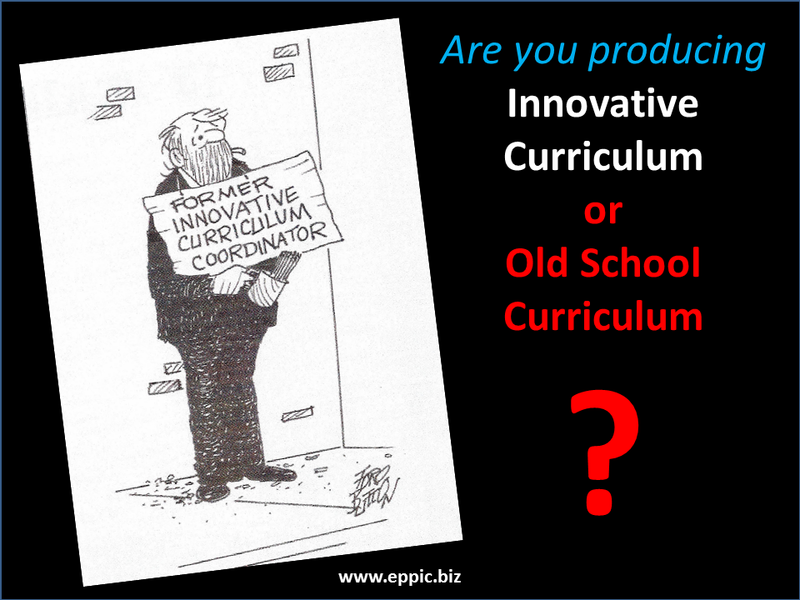 MCD-lite PP – 2002 – 10 page PDF – of when and how to shorten the “standard process” for my version of ADDIE (MCD – Modular Curriculum Development) – when the client isn’t attempting training for skills – but communications for awareness. Written to convince a client to not force every effort to go through the same rigorous approach when the desired outcome wasn’t skills-building. I was unsuccessful in convincing them. Originally written in 1997. NS 1251 Product Management Process Training – GWW – 4 page PDF – on the story of the AT&T Network Systems effort for Product Management Basics Training – which was the keystone course in a Curriculum Architecture effort begun in 1986 – something I designed and developed – and then delivered – an effort ending for me in 1993 with deliveries by me 31 times, including 6 in The Netherlands. Push-Pull Knowledge Management Systems 2000 – 8 page PDF – of my approach to creating a Push-Pull approach to a Knowledge Management System – using my PACT Processes for Training, Learning and Knowledge Management. Written in 2000 for the CADDI newsletter: lean-ISD. 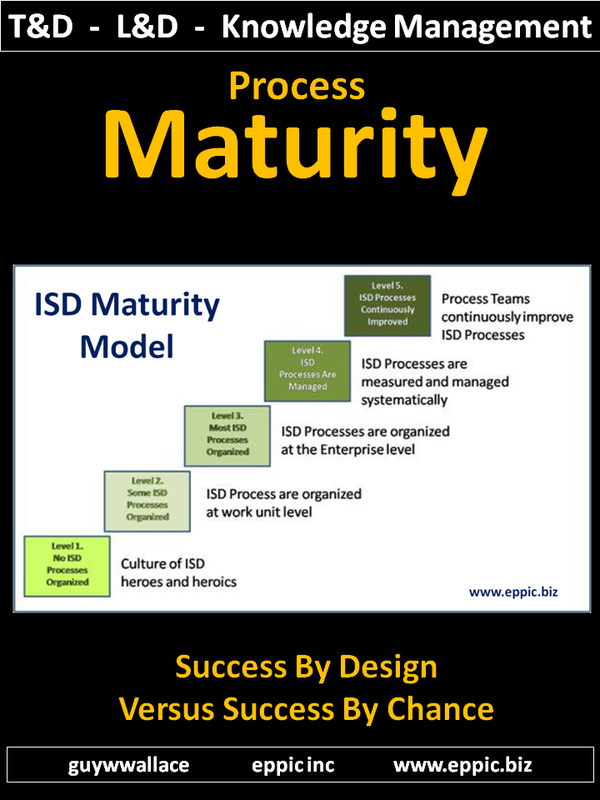 Designing for the ISD Life-Cycle – ISPI PIJ – 2002 – 13 page PDF – my reaction to the latest critique (at the time) about the value or lack-thereof of ADDIE. I was the main author of this – but added my colleagues at CADDI Inc. after they reviewed and critiqued my draft. The ISPI 2002 version: Wallace_et_al-2002-Performance_Improvement. Training & Development Systems takes a process-centric view of the function known as Training & Development, Learning & Development, etc. 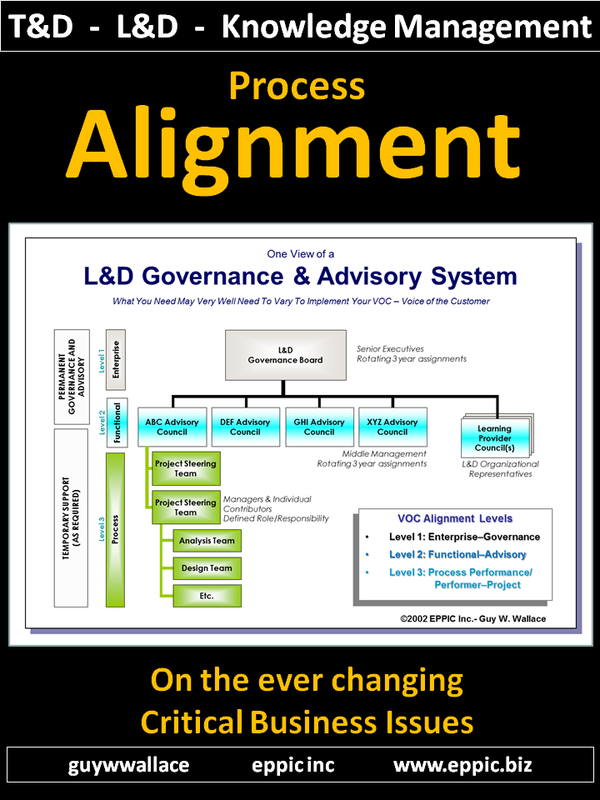 Governance and Advisory Systems and Processes for Training and Development – 5 page PDF – on a Governance & Advisory System and processes – published in 1999 in the CADDI newsletter and later covered more extensively in my 2001 book: T&D Systems View. 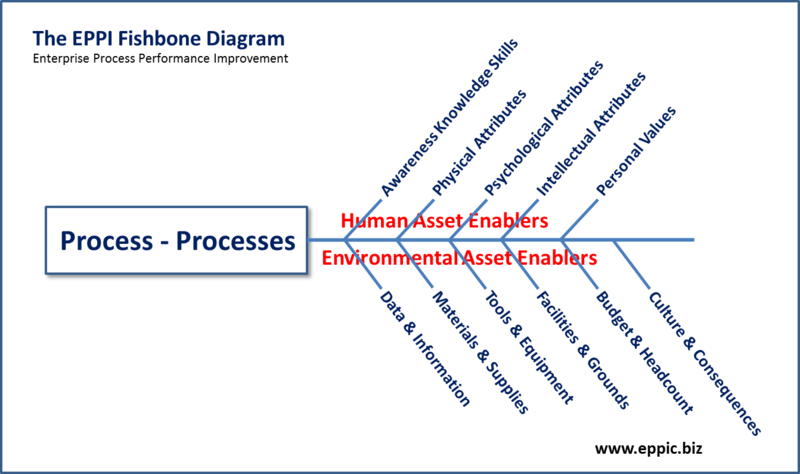 EPPI – Enterprise Process Performance Improvement – are my performance improvement/quality improvement methods, processes, tools and techniques. Continuous Improvement and Training – 19 pages – originally published as Chapter 4 in the Society of Manufacturing Engineers Handbook (May/June 1991). 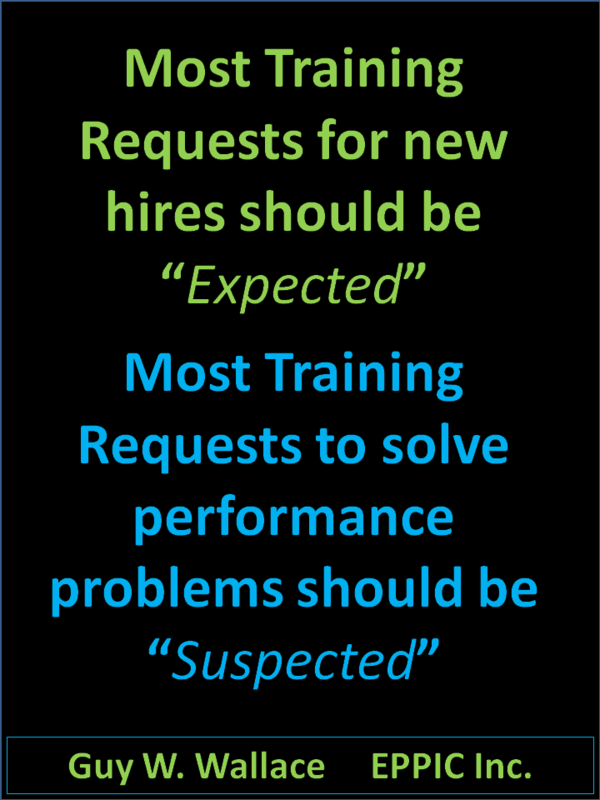 Training is critical to the success of most continuous improvement (CI) efforts. 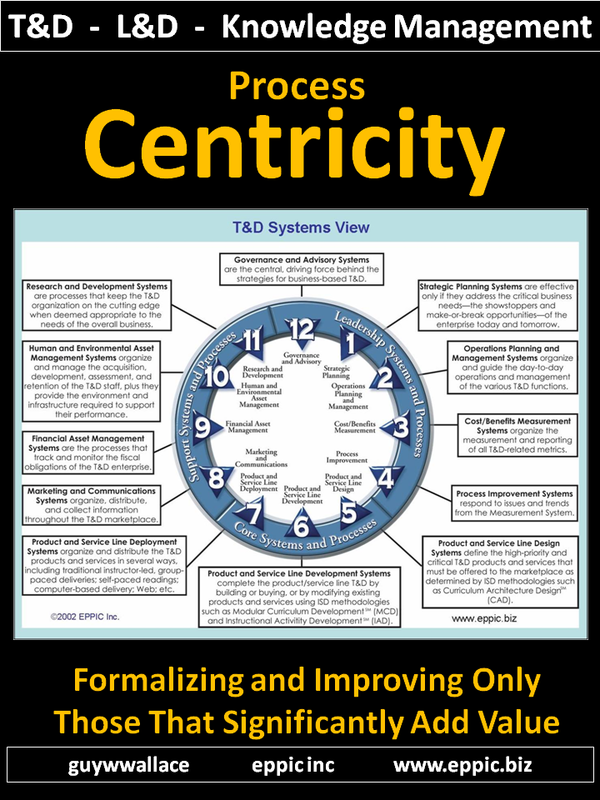 When processes are improved, maximizing the benefits of the improvement requires that those interacting with the process understand and can work within the context of the improved process. This may require a simple briefing or more extensive training, but training concerns are often overlooked and the costs of training ignored as improvement efforts are initially funded and undertaken. Are those costs then avoided? Not likely. It may be necessary to find funding later, when the need for training becomes an obvious requirement for implementing the changes. Authors: Guy W. Wallace, Peter R. Hybert and Terri Knicker-McCully. Empowerment is Work – Not Magic – JQ&P 1993 – 6 page PDF – published in the Journal for Quality and Participation in September 1993 – originally titled Empowerment as a Process. Managing Human Assets – GWW, KMK, RAS – 8 page PDF – coauthored by myself and my two business partners, Ray Svenson and Karen Kennedy in 1995 after the publication of our book: The Quality RoadMap (1994 – AMACOM) – delving into an architectural approach to the design/ redesign of HR systems – driven by a performance orientation. Based on our Business Architecture from the Quality RoadMap book. E04 Targeting EPPI – HAMS GWW 2001 – 2016 – 16 page PDF – from the CADDI newsletter Pursuing Performance in 2001 – updated in 2016 – about Targeting Enterprise Process Performance Improvement via Human Asset Management. Goal of the Issue PIJ – 2003 – 3 page PDF – from ISPI’s Performance Improvement Journal in February 2003 regarding a Presidential Initiative of mine in 2003-2004 at ISPI to “clarify HPT” that I did with Geary Rummler – based on an article he had published 20 years earlier in 1983. HPT in the Larger Improvement Arena – 2 page PDF article from ISPI’s Performance Improvement Journal in February 2003 regarding a Presidential Initiative of mine in 2003-2004 at ISPI to “clarify HPT” that I did with Geary Rummler – based on an article he had published 20 years earlier in 1983. EPPI – BPTrends Quarterly Columns – 2005-2007 – 106 page PDF – a compilation of my quarterly columns at BPTrends (Business Process Trends – http://www.BPTrends.com) from March 2005 through September 2007. On the topic of my EPPI methods. The Enterprise Process Performance Improvement Model – 6 page PDF – a short overview of the EPPI model from 2007. Video Production White Paper part 1 – 17 page PDF – from June 1983 – my process and my tools and templates for Video Production efforts. Consulting-SubContracting-Freelancing – CNSPI – 1985 – 5 page PDF – from Chicago NSPI (ISPI) newsletter in December 1985 – into going into the world of freelancers, sub-contractors and consultants and my views on the differences between the three. Managing and Mismanaging Stakeholder Expectations – GWW – 5 page PDF – original that was published in the Journal for Quality and Participation in June 1995 – my story as Uncle Guy doing the video for a niece’s wedding that went downhill before it all got started – due to the un-kept promises of a rental car company. Tools and Graphics in PROVEN Article Series – 2012 – several tools for readers of this 4-Part Article Series published in PROVEN quarterly in 2012.